A dual-fuel system is an excellent way to stay ahead of rising fuel costs. 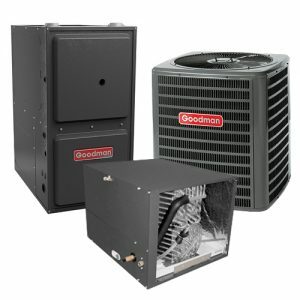 Dual fuel systems use the efficiency of a heat pump for summer air conditioning, and for heat in mild cold temperatures. Below a set temperature, the furnace automatically turns on and provides your home’s heat. It reduces energy consumption by using the particular energy source that is most efficient at any given time. What are the signs that your Dual Fuel system needs repairs? The backup unit doesn’t come on – This could be due to insufficient fuel or a malfunction in the connection between the two systems. Insufficient heat – If both systems are operating but still doesn’t feel warm enough, one of the two systems is malfunctioning. Unusual noises – If you hear any unusual sounds such as, whining or squealing, system needs attention right away. Don’t lose the advantages of a dual fuel system due to a malfunction that prevents the backup heater from working. Call Bay Area Mechanical at the first sight of trouble, 410-636-6400!